Causation is the relationship between a cause, such as careless cooking, and an effect, like a stove fire. Mitigation is the effort to reduce loss of life and property by lessening the impact of a disaster, such as a home fire, America’s #1 disaster threat. Cooking is a fun way to showcase your creativity and love of food, but it also is the leading cause of home fires and home fire injuries. Unattended cooking is the primary culprit, and two-thirds of cooking fires start with the ignition of food or other cooking materials. More than half of injuries occur when people try to fight the fires themselves. Heating provides much needed warmth during the winter months, but December and January have the highest incidents of home fires. The leading cause of heating fires is the failure to clean heating equipment. Space heaters, whether portable or stationary, cause 33% of home heating fires and 81% of home heating fire fatalities. The intentional category refers to the deliberate misuse of heat source or fire of an incendiary nature. Although three-quarters of intentional fires are started outside, they quickly spread to homes where most of the property damage and casualties occur. Statistics from the FBI show that more than half of people arrested for arson are under 21 years old. Social media trends like the fire challenge are especially dangerous and overwhelmingly affect youth. Electricity keeps our homes lit and powers our electronics, but lighting, fans, air conditioning equipment, and water heaters commonly cause home fires. Roughly half of home electrical fires involve electrical distribution (i.e., cords) or lighting equipment. The health risks associated with smoking are well known, but smoking is also the leading cause of home fire fatalities. Nearly half of the victims are age 65 or older. Approximately 25% of the victims were not the one even smoking the cigarette that caused the fire. Trash, mattresses, bedding, and upholstered furniture are the items most commonly ignited in smoking-related home fires. Washers and dryers keep our clothes clean, but also can spark home fires. Dryers are involved in 92% of these fires and the leading cause is failure to clean the units. Dust, fiber, lint, or clothing ignites 57% of washer and dryer fires. Exposure occurs when a nearby fire, like a wildfire, causes a home to catch fire. Prevention and preparedness are the best tools against exposure fires. Candles are festive holiday decorations, but the number of candle fires triples in December. Roughly one-third of candle home fires start in a bedroom. Falling asleep accounts for 11% of candle fires and 43% of candle fire fatalities. Prevention is the act or combination of actions to proactively keep something from happening. Fire prevention is a combination of efforts designed to stop fires from starting or spreading. Detection is the action or process of identifying the presence of something concealed or unknown. Smoke alarms detect one or more of the products or phenomena resulting from fire, such as smoke, heat, infrared and/or ultraviolet light radiation, or gas. Suppression is process of impeding or stopping something. Fire suppression systems, such as fire sprinklers, extinguish or slow down the spread of fire by releasing water under pressure where heat is detected. Protection is a person or thing that prevents someone or something from suffering harm or injury. Fire protection includes equipment, such as a flame retardant blanket, and design elements, such as a fire door, that reduces the spread of fire. Preparedness is the state of being ready in the event of a disaster. Fire preparedness includes installing a smoke alarm in each room and on each level of a home, developing a fire escape plan and practicing it, as well as knowing two ways out of every room. Education is the process of learning or teaching skills, values, beliefs, and habits. Fire education includes becoming aware of causes of home fires and how to prevent or reduce home fire injuries or fatalities. Research is the systematic investigation into and study of materials and sources to establish facts and reach new conclusions. 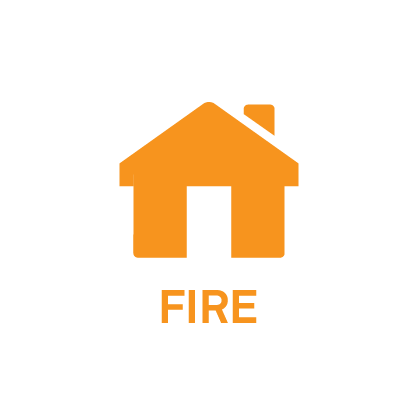 Fire research includes the review and analysis of the causes and contributing factors to home fires to raise awareness and education of the home fire problem. Development includes the innovation, introduction, and improvement of products and processes. Many companies and product manufacturers are developing new and improved appliances to prevent home fires. 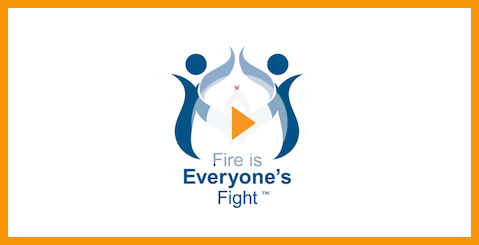 "Fire is Everyone's Fight" is designed to unite the fire service and many others in a collaborative effort to reduce home fire injuries, deaths, and property loss. This National Geographic video explains various causes of fires. 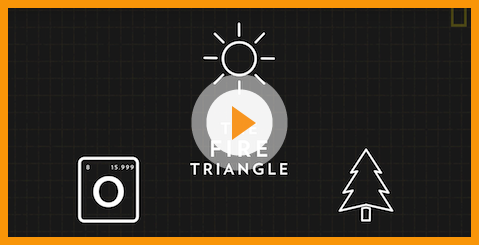 This NFPA video explains how to escape a home during a fire by staying under the smoke. 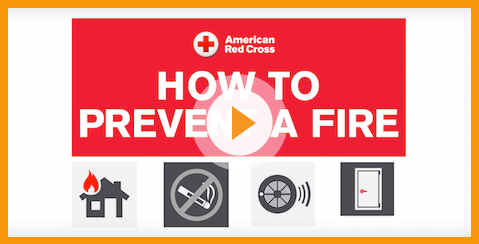 Learn about fire prevention and evacuation with these 8 tips from the American Red Cross. Madeline S., Age 14, North Carolina. 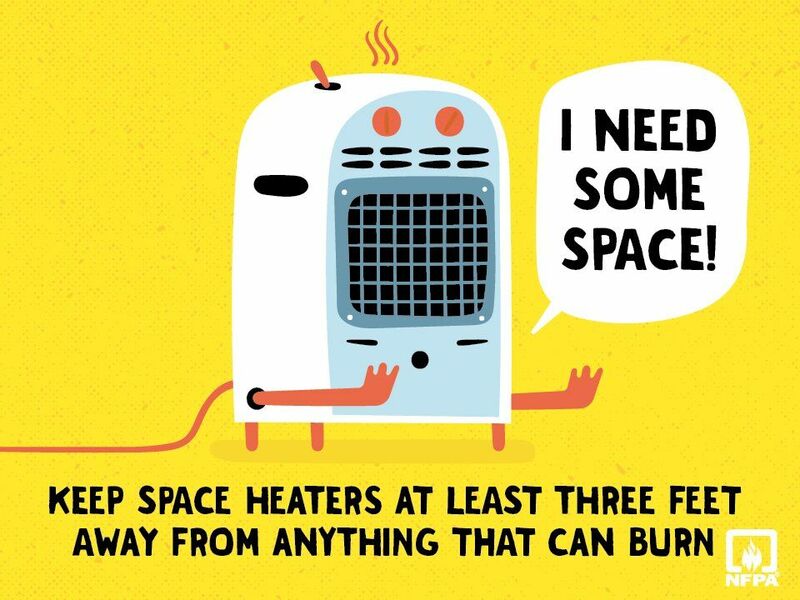 This NFPA message raises awareness about space heater safety. The USFA provides national leadership to foster a solid foundation for our fire and emergency services stakeholders in prevention, preparedness and response. The NFPA s a global nonprofit organization, established in 1896, devoted to eliminating death, injury, property and economic loss due to fire, electrical and related hazards. In the 15th century, Leonardo DaVinci invented the first sprinkler system. In 1723, Ambrose Godfrey patented the first fire extinguisher. In 1878, Joseph Winters patented the fire escape ladder. In 1902, George Andrew Darby patented the first electrical heat and smoke detector. In 1984, Ralph G. Nashawaty invented a stove system that turns off the burner when a pan or kettle is removed. In 2016, Emma and Scott invented the Fire Mitt to suppress cooking fires and won The Paradigm Challenge Grand Prize. WORKING SMOKE DETECTORS SAVE LIVES. CHECK YOURS EVERY MONTH. 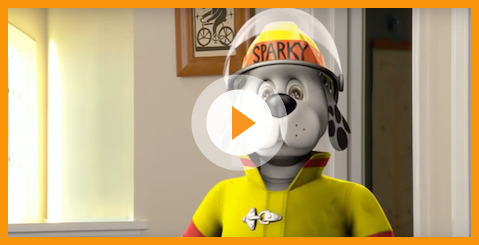 This National Fire Protection Association message is a reminder to test smoke alarms on a monthly basis as well as a warning that smoke alarms have a shelf life of 10 years, after which they should be replaced. This United States Fire Administration message emphasizes smoke alarms save lives. The focus of this campaign is to encourage homeowners to install and maintain smoke alarms and sprinklers. This fire safety message is a reminder to stay alert and remain in the kitchen when heating or cooking food. This message is an effort to make sure every family has an escape plan with two ways out of every room and two ways out of their home. This message is an instruction that smoke rises during a fire so get low and go when escaping fire to stay below the heat and poisonous smoke. This message instructs that once you escape a fire you must stay outside where it is safe and not return inside the building. Sound the Alarm is a series of home fire safety and smoke alarm installation events across the country. Together with fire departments and other community partners, Red Cross volunteers: canvass at-risk neighborhoods; install free smoke alarms; replace batteries in existing alarms; and provide fire prevention and safety education. 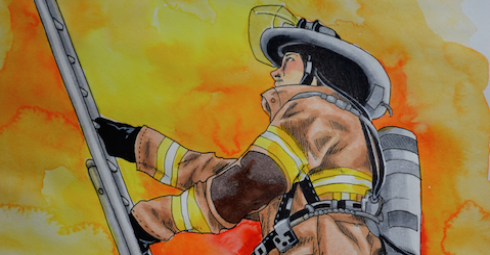 National Fire Prevention Week is observed in the United States and Canada, during the week in which October 9 falls. Since 1922, the National Fire Protection Association has sponsored Fire Prevention Week as an annual week-long event designed to raise awareness about a specific fire safety theme. Safety Town is a nationwide program designed to teach children safety tips, including fire prevention. This UL Fire Safety Research Institute campaign stresses the importance of keeping doors closed during the night to decrease heat and CO levels in the event of a house fire. The Boy Scouts of America award the Fire Safety Merit Badge to Scouts that learn how to use fire safely and responsibly, how to prevent home fires, and how to handle fire safely, as well as burn prevention, and camping safety. Waste causes massive harm to our planet, including increased landfills, pollution, depletion of natural resources, increased greenhouse gas emissions, and depletion of the ozone layer. Conservation is the preservation, protection, or restoration of the natural environment, natural ecosystems, vegetation, or wildlife. More than $1,000,000,000,000 (that’s a trillion dollars!) worth of food is wasted every year. Food makes up 20% of landfill weight and is the single largest source of household waste. The methane gas released by wasted food is 21 times more powerful than carbon dioxide. The average family of four in America uses 400 gallons of water each day and more than 95% of the water that enters the home goes down the drain. Each day, more than 7 billion gallons of fresh water is used for residential landscaping (in the US alone) and 50% of that is lost to evaporation or runoff. 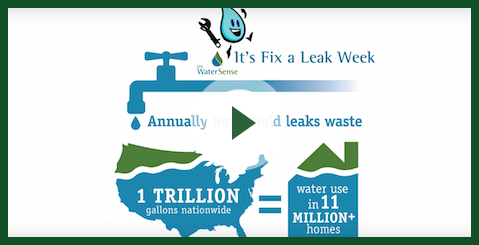 More than 57% of the energy in the U.S. is wasted through heat and leaks because of inefficient technology. The wasted energy includes oil, coal, natural gas, and renewables. Each year, more than 3.4 billion pounds of electronics in the U.S. are sent to landfills or are incinerated. This includes computers, televisions, and other electronics. This E-waste contains hazardous materials like lead, mercury, and lithium. More than 50% of the Earth’s forests have been cut down for fuel, building materials, and farming. Deforestation causes loss of biodiversity, soil erosion, and other significant environmental issues. Hazardous waste arises from a wide range of different sources including households, commercial activities, and industry. Hazardous waste includes paint, oil, pesticides, and medical waste and can poison rivers, lakes, and oceans. Hazardous waste can also pollute drinking water and cause contamination and health risks. Most packaging waste is not biodegradable and can last for decades in landfills, which can lead to polluted soil and drinking water. Packaging includes glass bottles, plastic containers, aluminum cans, food wrappers, timber pallets, drums, and any other materials that contain or protect goods when they are transported. Packaging waste can arise from a wide range of sources including supermarkets, retail outlets, manufacturing industries, households, hotels, hospitals, restaurants, and shipping companies. Discarded cars and tires contain hazardous substances including antifreeze, brake fluid, oils, and rubber. These materials release toxins that pollute water, air, and soil. Waste prevention is the process of using less material or products in the first place—before recycling. Preservation is the process of protecting nature from use or overuse. Protection is the effort to conserve nature, including resources, ecosystems, and wildlife either voluntarily or through governmental regulation. Education includes raising awareness of the problem of waste as well as teaching others how to reduce waste. 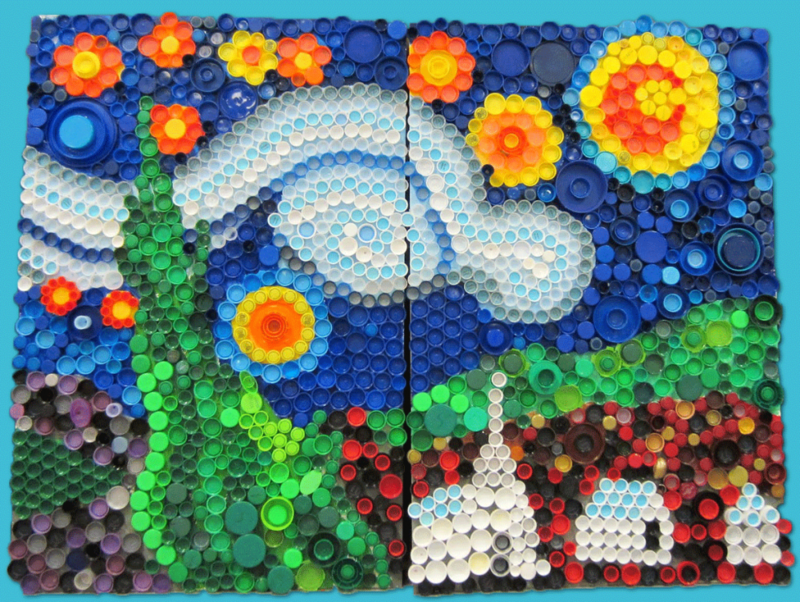 Upcyling is the process of reusing and transforming discarded objects or material for new uses. Zero Waste is a movement that seeks to send no waste to landfills by reducing waste, reusing products and materials, and recycling what cannot be reused. Water reclamation is the process of converting wastewater into water that can be reused for other purposes, such as irrigation for farming and even drinking water. 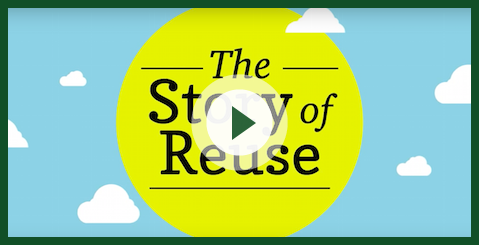 This EPA video explains that what you're throwing away is valuable, not trash. This EPA video reminds you of the steps you can take to check, twist, and replace as you save water for yourself and your community. 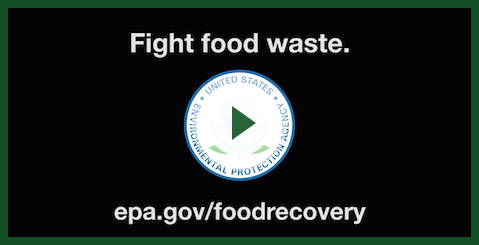 This EPA video shares steps to cut down your food waste. This website provides answers from NASA to the big questions of what’s happening to our oceans, atmosphere, and ecosystems. This website helps people understand how 40% of food in the United States is wasted. For thousands of years civilizations have composted manure, food waste, ash, and other organic material for farming. Today, worms are used to help compost. Japan is the first recorded country to reuse paper. Today, paper is re-pulped into new paper-based materials. Aristotle and other ancient Greeks discovered seawater could be distilled and filtered into drinking water. Today, desalination creates drinking water around the world. In 1839, Alexandre Edmond Becquerel discovered the photovoltaic effect, which explains how sunlight can generate electricity. Today, solar energy powers heating, cooling, cooking, and other electric needs. In the early 1800s, Scottish inventor Robert Anderson developed the first electric carriage powered by non-rechargeable cells. Today, more than 1 million electric vehicles are in use. In 2017, Benjamin developed NOHBO balls to replace plastic shampoo bottles and won The Paradigm Challenge Grand Prize. Almost everything we use on a daily basis can be reused, reduced, or recycled. This campaign reminds us to do just that. In the 19th century, author Henry David Thoreau wrote about living a “green” life in The Maine Woods in his call for conservation, forest preservation, and respect for nature. Today, the Go Green message reminds everyone to be environmentally conscious. This call-to-action encourages individuals and organizations to help save energy and protect the environment through energy-efficient lighting. This Greenpeace message communicates that our actions and waste have consequences for our environment, especially the ocean, which is a fragile ecosystem. This message encourages motel and hotel guests to re-use their sheets and towels. Earth Day is celebrated on April 22 in more than 193 countries around the world. 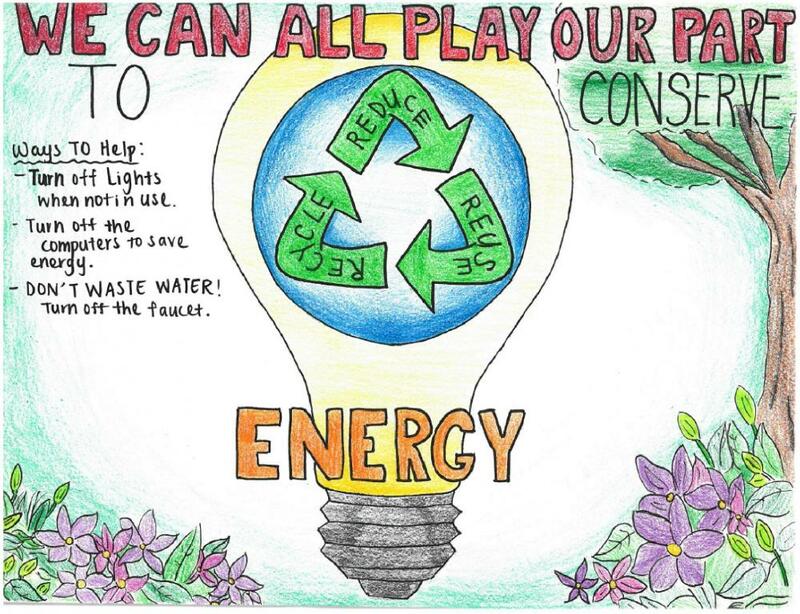 The Make Everyday Earth Day message reminds us to protect our planet throughout the year. The EPA’s FTGTW program consists of an implementation guide and toolkit that aim to reduce wasteful household food management practices. The guide teaches local governments and community organizations how to implement a Food: Too Good To Waste campaign in their community using the toolkit. Through the Sierra Club’s Seize The Grid campaign, young people across the country will create the demand and the vision for local clean energy opportunities that work for their campuses, communities, and states. This initiative is all about helping schools create a campus-wide culture of conservation. The World Bank Group, in partnership with the Office of United Nations Secretary-General’s Envoy on Youth, established this summit to empower youth to promote their ideas on the environment. Youth are engaged as active citizens who improve the environment and their communities now and in the future. Community recycling/collection programs help keep waste out of landfills and provide residents, businesses, and other community members an opportunity to safely and responsibly recycle waste that may be difficult to dispose of through regular trash collections. Wellness is the process of becoming aware of and making conscious choices toward a balanced and healthy life. Healing is the process of making or becoming healthy again through natural, medicinal, or other intervention. Social wellness is the process of creating and maintaining healthy relationships and contributing to your community. Physical wellness is the process of engaging in physical activity on a daily basis. Emotional wellness is the process of creating and maintaining a positive balance and enthusiasm about life. Career wellness is the process of making and maintaining choices that are meaningful and that contribute to personal growth and work satisfaction. Intellectual wellness is the process of expanding personal knowledge and skills by learning new ideas, seeking out new information, and sharing them with others. Environmental wellness is the process of taking responsibility for the environment and creating sustainable human and ecological communities, as well as improving the quality of air, water, land, and space. Spiritual wellness is the process of seeking meaning and purpose in human existence and establishing peace and harmony in our lives. Financial wellness is the process of understanding your financial situation and effectively managing your income and your expenses. Heart disease (sometimes called cardiovascular disease) describes a range of conditions that affect the heart, including blood vessel diseases, rhythm problems (arrhythmias), and congenital disorder (condition existing at or before birth). 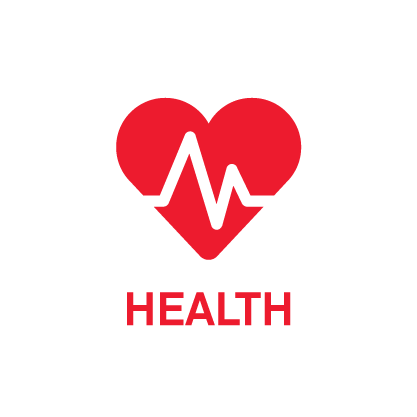 Many of the leading risk factors for heart disease are preventable, including tobacco use, unhealthy diet and obesity, insufficient exercise, excessive alcohol, and high blood pressure. Obesity means an excess amount of body fat (usually measured by a person's weight in relation to his or her height). The primary cause for obesity is the consumption of more calories than one burns through exercise and regular day activities. Less frequently, obesity is caused by medical diseases or conditions such as Prader-Willi syndrome and Cushing's syndrome. Obesity increases the risk for many other serious diseases and health conditions, including heart disease, type 2 diabetes, and high blood pressure. Cancer refers to a large number of diseases characterized by the development of abnormal cells that divide uncontrollably and have the ability to infiltrate and destroy normal tissue throughout the body. Common causes of cancer include smoking and tobacco, obesity and lack of exercise, excessive alcohol, sun and other types of radiation, viruses and other infections, carcinogens, chronic inflammation, and genetic pre-disposition. A stroke occurs when the blood supply to part of the brain is interrupted or severely reduced, depriving brain tissue of oxygen and nutrients. Types of strokes include blood clots (ischemic stroke), temporary blood clots (transient ischemic attacks), and bleeding in the brain (hemorrhagic stroke). The leading causes of stroke include high blood pressure, heart disease, and high cholesterol. Diabetes is a disease in which blood glucose (or blood sugar) is too high either because insulin production is inadequate (Type 1) or the body does not properly use the insulin it produces (Type 2). Diabetes can cause heart disease, stroke, and damage to eyes, kidneys, and nerves. The leading causes of diabetes include genetics, obesity, and physical inactivity. Alzheimer's disease is a progressive brain disorder that destroys memory and thinking skills, and eventually the ability to carry out simple tasks. Alzheimer's is the most common form of dementia. Doctors currently do not yet know exactly what causes Alzheimer's disease, but some believe that it is a combination of environmental, genetic, and lifestyle factors. Infectious diseases are caused by microorganisms such as viruses, bacteria, fungi or parasites and can directly or indirectly spread between individuals. 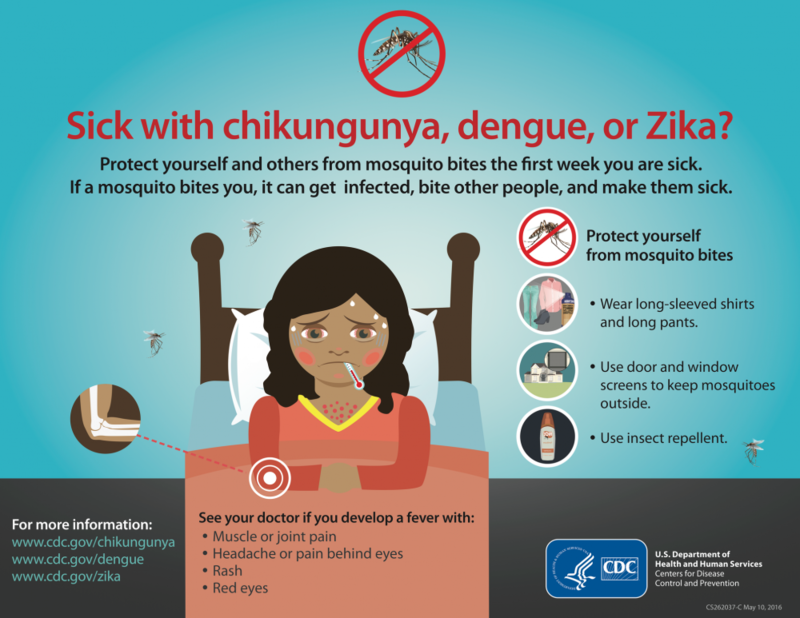 Examples of infectious diseases include malaria (a disease spread by insects), tuberculosis (a disease spread through the air), salmonella (a foodborne illness). Access to personal health services impacts wellness and healing. Each person's access depends on individual decisions, the environment, geography, education, income, genetics, and social factors. 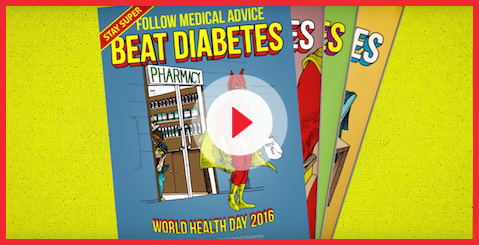 This World Health Organization video identifies the steps to help beat diabetes. 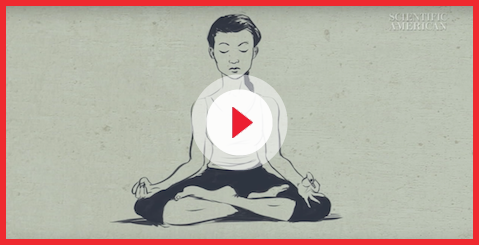 This Scientific American video explains that meditation can positively change the brain. 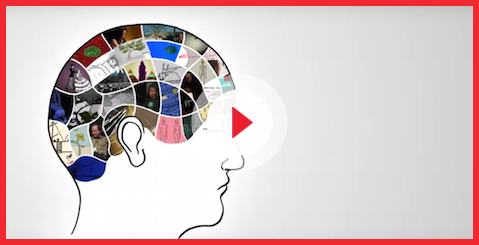 This TED-Ed video explains what happens to the body when it continuously experiences stress. 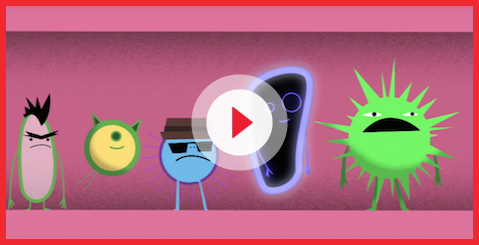 This TED-Ed video explains how harmful bacteria can mutate and resist medicine. This website provides health updates and information from around the world. This website provides information to protect against health, safety, and security threats. Rounded glass and colored gems were used in ancient Rome to read and block the sun. Salvino D'Armate is often credited as creating the first eyeglasses for reading in about 1286. Francis Rynd developed the first syringe with a hollow needle in 1844 to deliver fluids intravenously in the body. Wilhelm Conrad Roentgen discovered x-rays in 1895, which quickly advanced medical technology. The Band-Aid was invented in 1920 by Thomas Anderson and Earle Dickson as an easy way to cover cuts and burns. Edward Price and Lewis Rasmussen invented the wearable heart rate monitor in 1980 as a way to easily measure heart rate while mobile. The Grand Prize Winner of the 2017/18 Paradigm Challenge Prize will be announced in July 2018. The “Cover Your Cough” message campaign urges you to cover your mouth and nose with a tissue when you cough or sneeze or, if you don't have a tissue, to cough or sneeze into your upper sleeve, not your hands. Covering your cough will stop the spread of germs that make you and others sick. The “Know Your Numbers” message reminds you to focus on the key markers of heart health, such as blood pressure, cholesterol, blood sugar, body mass index (BMI), and waist circumference. By keeping those numbers within a healthy range, you can greatly improve your heart health and reduce your risk for heart disease. The “Be Tobacco Free” campaign seeks to reduce the number of people at risk of tobacco-related illnesses and second-hand smoke. Smoking harms nearly every organ of the body and tobacco is a primary cause of preventable illness and death. The “FAST” public message campaign provide a helpful way to remember the signs of a stroke and the importance of immediate medical attention. The FAST acronym stands for Face drooping, Arm weakness, Slurred speech, and Time to call for help. The “Commit To Be Fit” message challenges individuals to adopt healthy habits by engaging in physical activity and eating nutritious foods on a daily basis. Ralph Waldo Emerson, an American essayist and poet, wrote in 1860 that, “The first wealth is health,” meaning that good health can lead to economic prosperity. The phrase is now commonly repeated as “health is wealth,” associating good health with financial wellness. MyPlate illustrates the five food groups that are the building blocks for a healthy diet using an image of a meal place setting which is divided as follows: approximately 30% grains, 40% vegetables, 10% fruits and 20% protein, along with a smaller circle representing dairy, such as a glass of milk or a yogurt cup. The NFL PLAY 60 Challenge is a four-week program that inspires kids to get the recommended 60 minutes of physical activity a day in school and at home. The American Heart Association and the National Football League teamed up to create the NFL PLAY 60 Challenge. 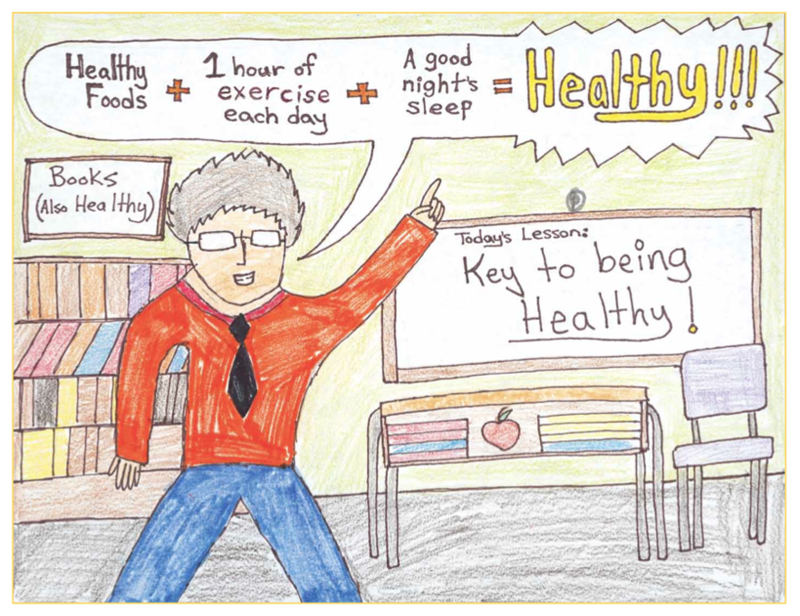 The 4-H Healthy Living programs focus on nutrition, childhood obesity, drug awareness, bullying prevention, health and fitness, safety, stress management, and food science. These programs help 4-H youth learn about living a healthy lifestyle through fun, hands-on activities, and projects that are available through schools, 4-H clubs, and camps. Get Outdoors Day is a program that encourages individuals, especially youth, to seek out healthy, active outdoor lives and embrace parks, forests, refuges, and other public lands and waters. Get Outdoors Day was created by the United States Forest Service and the American Recreation Coalition. The UN Foundation's Nothing But Nets is a global, grassroots campaign to raise awareness and funding to prevent the spread of malaria in Sub-Saharan Africa by sending nets to at-risk individuals and families. The International Federation of Red Cross and Red Crescent Societies (IFRC) expand access to health services in underserved communities, especially during emergencies. The IFRC is the world's largest humanitarian organization, with 190 member National Societies. Our traditional food system maximizes food growth at the lowest possible cost, but does not yet provide access to safe, nutritious, and sustainable food for everyone. Strategic improvements can ensure that all people, at all times, have the physical, social, and economic ability to meet their dietary needs for an active and healthy life. The goal of traditional food growth is to produce the highest crop yield at the lowest monetary cost. Unfortunately, traditional agriculture often requires a significant amount of chemicals and energy. According to the United States Department of Agriculture, traditional food growth alters the natural environment, deteriorates soil quality, and eliminates biodiversity. Processed food is any food that has been altered in some way during preparation. Examples include bread, cereals, sodas, meat, and cheese. Although not all processed foods are unhealthy, some contain high levels of salt, sugar, and fat, which enhance the visual appeal of the food and allow for a longer shelf life. These and other processing additives can negatively impact your health. Some methods of food preservation are known to create carcinogens. In 2015, the International Agency for Research on Cancer of the World Health Organization classified processed meat, i.e., meat that has undergone salting, curing, fermenting, and smoking as carcinogenic to humans. Food packaging is designed to contain, protect, and display food contents. 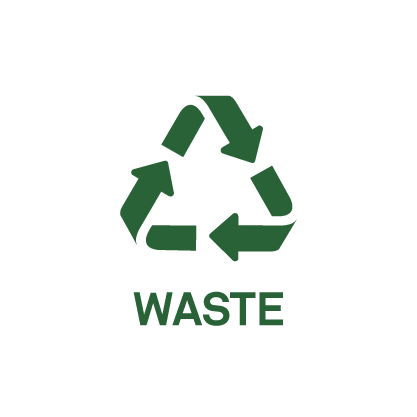 Some types of packaging materials are non-biodegradable, such as styrofoam and plastics, and can overflow landfills. Other types of food packaging contains chemicals such as BPAs (bisphenol A) that may be harmful to our health. Food is transported around the world in order to meet global demand. Food transportation requires oil and other fossil fuels and is estimated to account for nearly 50% of carbon emissions, which contributes to ozone depletion and global warming. People need physical, social, and economic access to safe and nutritious food that meets their dietary needs and food preferences. Improper handling can spread harmful bacteria that cannot be seen, smelled, or tasted. Food consumption includes the types of food we eat, how much we eat, and the quality of what we eat. What we eat may be determined by availability, taste, and other factors, such as allergies. How much we eat may be determined by factors such as availability, cost, and behavior. The quality of what we eat may be determined by the how are foods are grown and prepared. Approximately 30% of global food production is wasted. This includes food that is disposed where it is grown because it does not meet visual retail standards, food that is disposed based on age, and food that is disposed simply because too much was placed on one’s plate. Sustainable agriculture benefits the environment by maintaining soil quality, reducing soil degradation and erosion, and saving water. Many conventional farms rely on chemical fertilizers to enhance the soil’s nutrients, but sustainable practices utilize crop rotations and natural animal manure to keep the soil healthy. Food treated with antibiotics and pesticides can cause health problems. Organic farmers do not use antibiotics or synthetic fertilizers or pesticides, and produce. Reduced processing includes minimizing the use of artificial preservatives and chemicals and using natural techniques such as canning, freezing, and drying. Alternative food processing techniques include the use of technology, including thermal and non-thermal methods. Lightweighting is the process of redesigning product packaging to use less material or more sustainable material. Buying locally-grown food dramatically shortens the amount of travel and energy needed to get from the farm to one’s plate. Community-supported agriculture, commonly referred to as a CSA model, is a growing social movement that connects the producer and consumers within the food system more closely by allowing consumers to subscribe to the harvest of a certain farm or group of farms. Safe food handling includes proper food preparation, cooking, and storage. Food access is about more than just whether there are grocery stores in a community. It also has to do with whether households can afford to purchase food—and affordability is closely related to rates of employment and job quality. Local strategies include farmers’ markets, mobile produce vendors, farm to school initiatives, food hubs and other community-based methods for selling local food. Global strategies include encouraging climate-smart farming techniques and restoring degraded farmland, improving storage and supply chains for reducing food losses, and micro loans to support community agriculture. Good nutrition is an important part of leading a healthy lifestyle. Combined with physical activity, diet can help one to reach and maintain a healthy weight, reduce the risk of chronic diseases (like heart disease and cancer), and promote overall health. Waste management systems like composting can limit the amount of food waste in landfills, enrich soil for future planting, and contribute to the soil’s drought resistance. While food discarded in landfills emits methane gas from being packed too tightly, healthy compost emits carbon dioxide into the air and promotes healthy plant life as well as acting as a natural fertilizer. 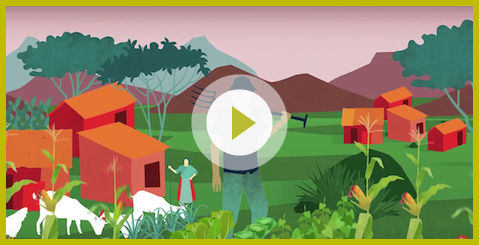 This United Nations Food and Agriculture Organization video explains how to achieve sustainable agriculture in a changing climate. 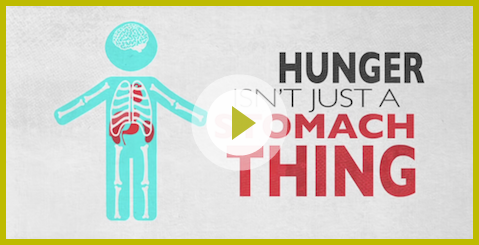 This video explains how malnutrition can negatively affect the human body. 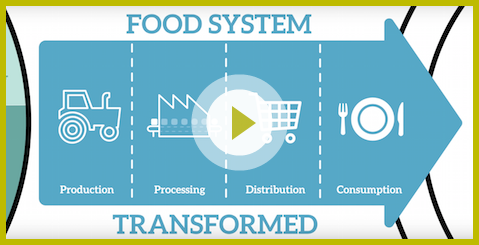 This United Nations video explains the growing need to change our food system. 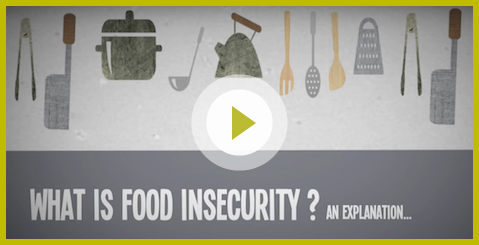 This video explains what food (in)security is, and why it is important. Berta K., Hungary, age 11. 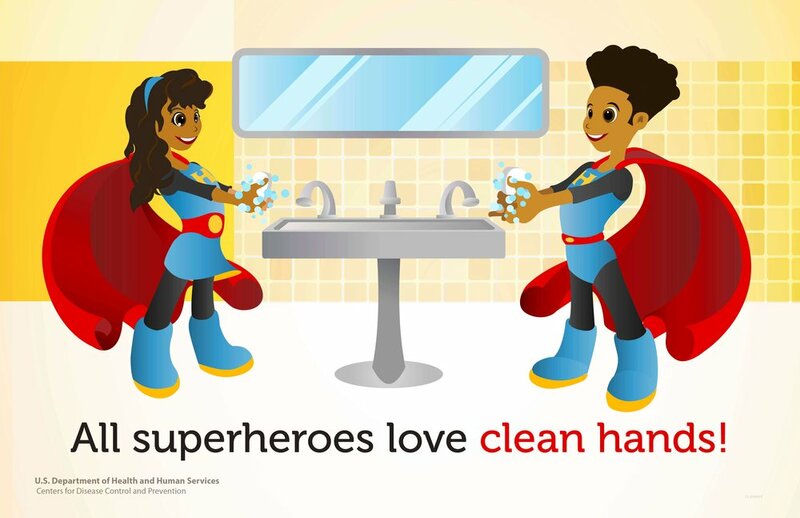 This Centers for Disease Control poster reminds us that everyone should wash their hands before eating. The United Nations Food and Agriculture Organization aims to achieve food security for all and make sure that people have regular access to enough high-quality food to lead active, healthy lives. The United States Department of Agriculture provides leadership on food, agriculture, natural resources, rural development, nutrition, and related issues based on public policy, the best available science, and effective management. Agriculture is the system of growing plants and raising animals as food sources. The earliest recorded agriculture was in the Middle East between 8500 and 7000 BC. Today, community supported agriculture (CSA) offers a way for consumers of produce to support local farmers and play a role in producing the food they eat. The first known rooftop gardens were built between 4,000–600 BC in ancient Mesopotamia. Today, home gardens are visually pleasing, produce food, and help the environment. Natural spring water was first bottled and sold in 1621 in Holy Well, England. Today, reusable water bottles help reduce waste. The Greek term “silo” means “pit for holding grain.” Silos were first used in the late 8th century BC. The first modern silo was built in 1873 by Fred Hatch in Illinois and is still used today. The first recorded use of ice to store food was by Chinese farmers around 1000 BC. Electric refrigerators were first introduced in New York in 1870. Today, smart refrigerators track food quantity and expiration, generate shopping lists, and even play music. In 1923, Clarence Birdseye developed a method for quick-freezing food products after observing the Inuit people of Antarctica freeze and store fresh fish. Today, freezer technology can detect when food items are reaching their expiration dates. The “Hunger Is A Story We Can End” message from Ad Council and Feeding America raises awareness that there is enough food in the world to feed everyone and that we must work together to solve the food insecurity problem. The “Farm-To-Table” campaign promotes the direct purchase of food from local farms to reduce the use of fossil fuels and transportation associated with traditional distribution networks. The “Eat For Good” Oxfam campaign reminds us that our consumer decisions are powerful and that changes in how we buy, cook, and eat can make a big difference for people all over the world. The “I Value Food” campaign is an initiative by Sustainable America to challenge people to monitor the amount of food they throw away. The “Be Food Safe” campaign by United States Department of Agriculture. Is designed to raise awareness and prevent the spread of foodborne illness. The “What’s In Store For Us” message from the Voices for Healthy Kids initiative raises awareness of and solutions to the food access program. Nearly 30 million people in communities across America do not have stores that offer healthy foods in their neighborhood. These same communities often struggle with high rates of unemployment and diet-related chronic diseases. 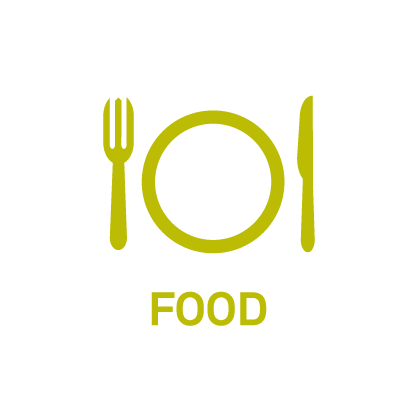 World Food Day was founded by the United Nations Food and Agriculture Organization in 1945. It is celebrated in over 150 countries every October 16th to raise awareness of issues behind poverty and hunger. 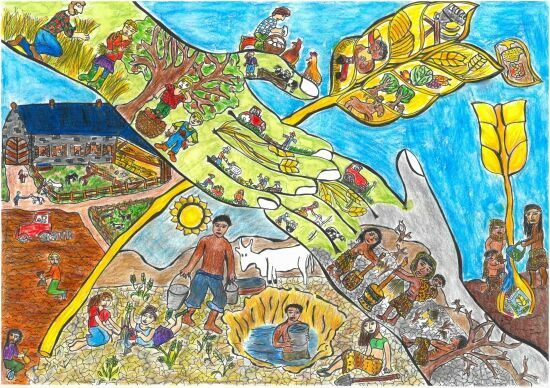 World Soil Day activities aim to communicate messages on the importance of soil quality for food security, healthy ecosystems, and human well-being. World Soil Day is celebrated annually on the 5th of December. Voices for Healthy Kids is an educational program by the American Heart Association and the Robert Wood Johnson Foundation designed to help all children achieve a healthy weight. The United States Department of Agriculture New Farmers Program provides information, education, and financial resources for new farmers. SmartLabel is an online educational resource created by the Grocery Manufacturers Association and the Food Marketing Institute to provide consumers with more detailed product information about a wide range of food, beverage, household, pet care, and personal care products. The Non-GMO Project is a consumer education and outreach effort to verify and promote foods that are produced without genetically-modified organisms.